PLC System Automation – Sepratech Provides Solutions! S epratech Corporation has a staff of experienced, professional engineers that can provide efficient, reliable, cost-effective solutions for all of your system automation requirements. 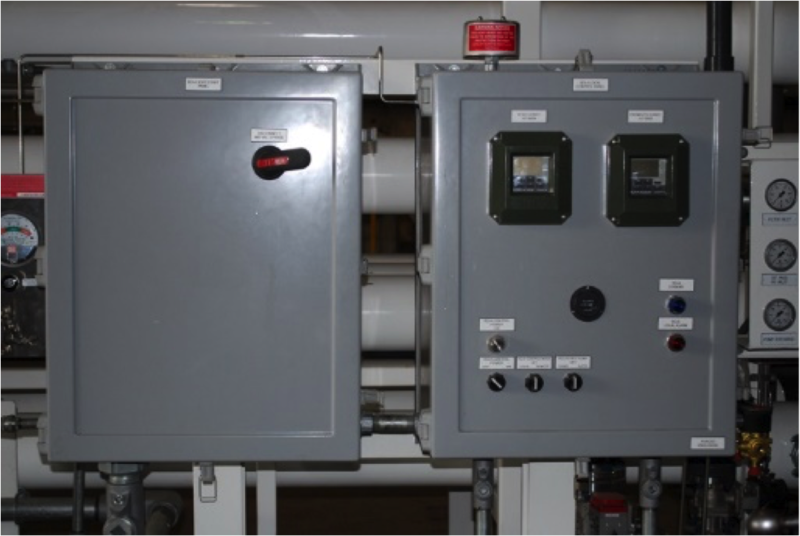 Our engineers are experts in the water and wastewater industry, with more than 25 years of experience providing new system automation, as well as upgrading existing systems with new automation technology. Sepratech owns and operates the fabrication facility that designs and manufactures custom control panels and enclosures for our Industrial and Municipal customers. Programmable Logic Controllers (PLC) can monitor multiple input parameters and automatically make adjustments and/or provide alarms to notify technicians of situations that require immediate attention. This can be accomplished locally at the system control panel or through a remote access point. Sepratech employs a thorough process to ensure all customer requirements are not just achieved but exceeded. Determine customer expectations for automation. Onsite audit of existing systems and processes. Generate a proposal of design recommendations and a quotation for implementation. Collect in-depth data points for configuration and programming. PLC program optimization and fabrication of control panel / enclosure. Installation and incorporation into system. Commissioning and startup of equipment. Our company’s reputation is built on Exceptional Customer Service, Quality Products and Experienced, Professional Engineers that build relationships, not just equipment and systems. Give Sepratech a call for all of your system automation needs!